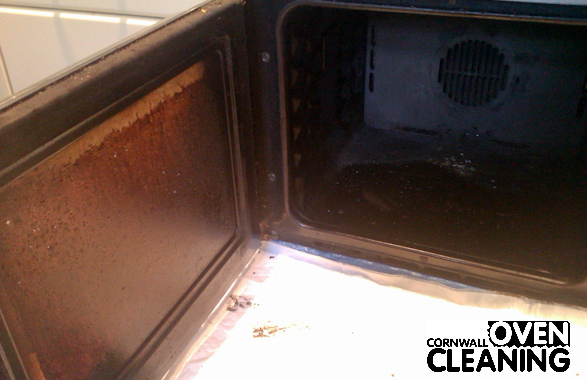 Cornwall Oven Cleaning technicians are fully trained to clean all types of ovens, hobs, and extractors. 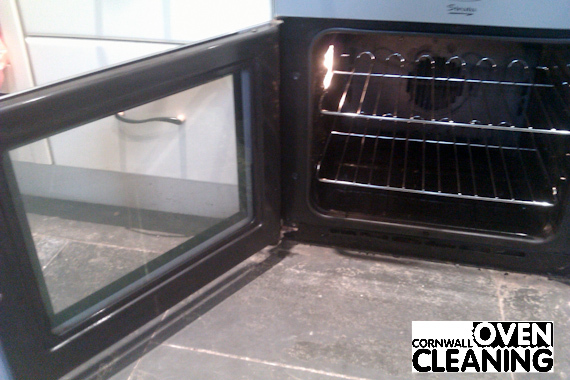 Our cleaning system returns your oven to ‘as good as new” condition using our specially developed non-caustic, non-toxic chemicals. We give outstanding results to all oven brands and models; including electric oven cleaning, gas oven cleaning and range oven cleaning. Tough enough to cut through even the most stubborn stains, our nontoxic solutions are also gentle, working to maintain and protect all manner of oven façades and interiors; from stainless steel to enamel, chrome to glass. We are experienced in cleaning all types of ovens including “built-in” ovens. If your oven is ‘built-in’ there will generally be a separate hob that sits in the worktop. 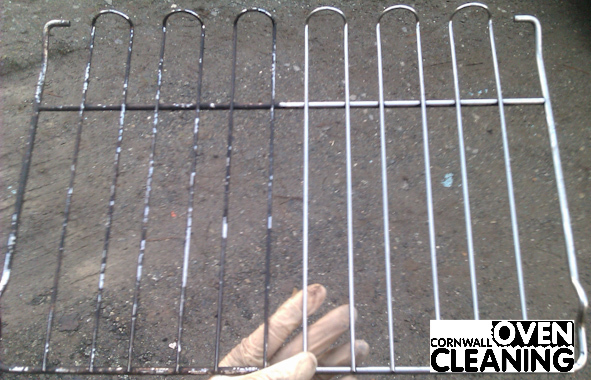 Cornwall Oven Cleanings techniques and products will produce superb results on all hob types including gas, electric, ceramic and halogen. We can include the hob in an all inclusive quotation if you require. Traditional cookers and ovens that sit directly on the kitchen floor are classed as ‘Freestanding’. These appliances are often fitted neatly between two kitchen units. All ‘Free-Standing’ ovens and cookers have the hob as an integral feature and they will also either have an eye-level grill, a separate grill door or a grill element in the top of the main/secondary oven. All cookers are cleaned in situ, if you wish the sides or back of the freestanding cooker to be cleaned please pull the cooker out. The oven cleaning technician will not pull the cooker out, due to possible claims of damage to the customers floor and/or the cooker. Our non-toxic, environmentally friendly products are also designed to clean microwave ovens beautifully. We have the technical expertise to cope with all makes and models whether a ‘standard’ microwave or a ‘combination’ microwave oven/grill. 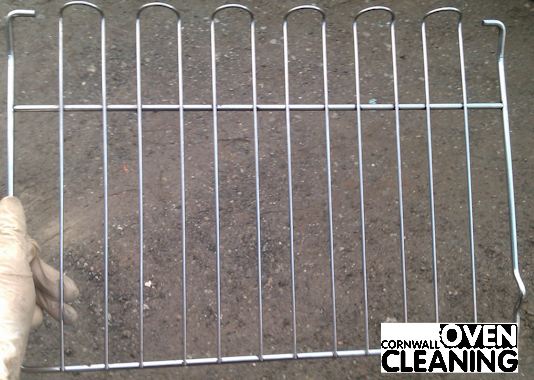 Above most hobs there is normally a type of extractor which removes or re-circulates filtered air. 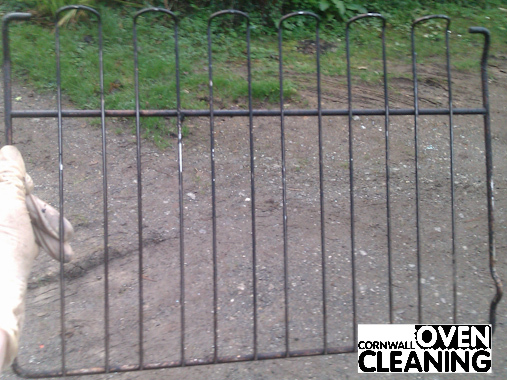 These can become very greasy and it is often better to get a professional to do this messy job. We clean the filter unless its a replaceable one in which case we fit a new filter which is included in the price. If you are not sure if your extractor requires cleaning you can always ask the technician there opinion while your oven is being cleaned. 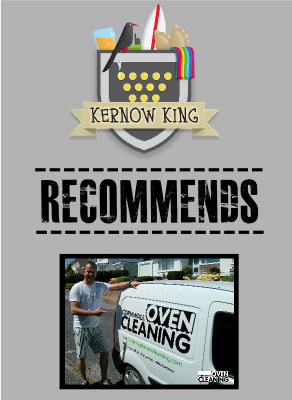 Phone or email Cornwall Oven Cleaning and we will help you to explain exactly which type of appliances you have, so that your all inclusive quotation is accurate. We will also give you an estimate of how much time it will take to help you plan your day. We allocate enough time for each clean and never leave a job half finished so you can have the outstanding results we know you’ll expect.